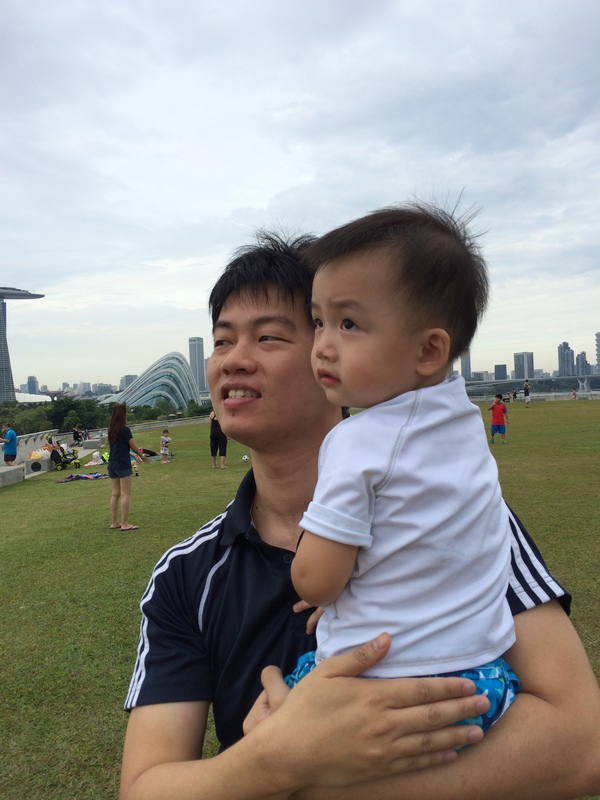 The name Marina Barrage seemed like a boring place. Recall students going there for excursions, just like the NEWater plant, where they can learn all about conservation of water in Singapore. However, many people choose to go there for family time. What can they do there, you might ask. At level 1, you will find many people jogging or cycling. 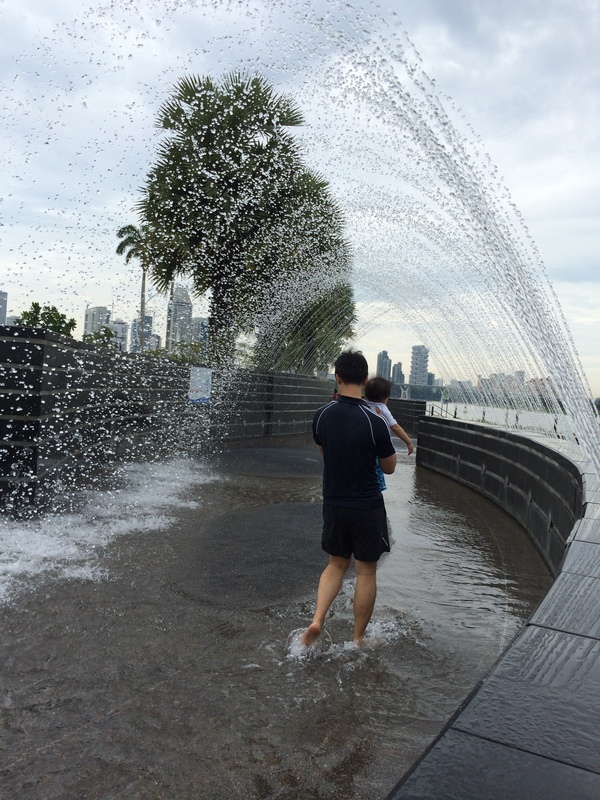 There is also a water playground for children to play in. 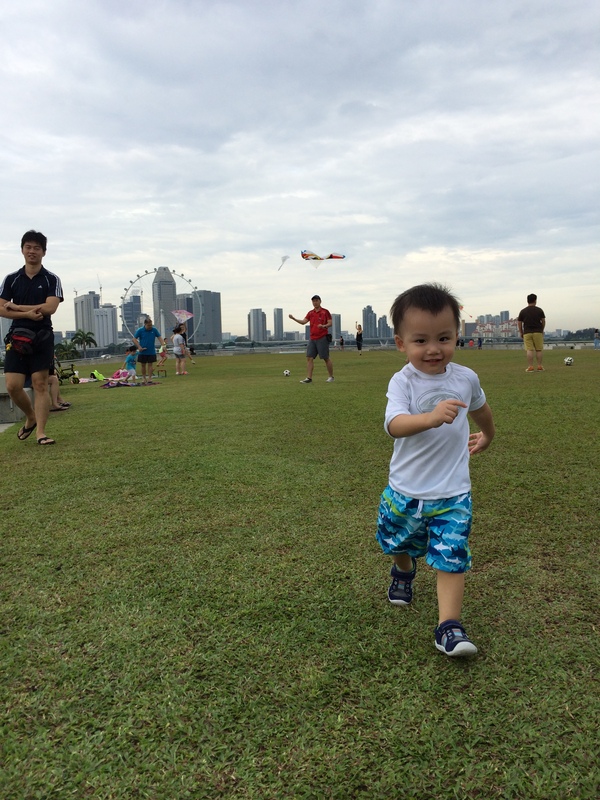 At level 2, which is the garden rooftop, you will see families picnic-ing, flying kite, playing ball, lazing around. There is really much to do there. I had no idea until my hubby decided to bring us there. I was skeptical as I had been there before and don’t remember much about it. But boy, was I wrong! 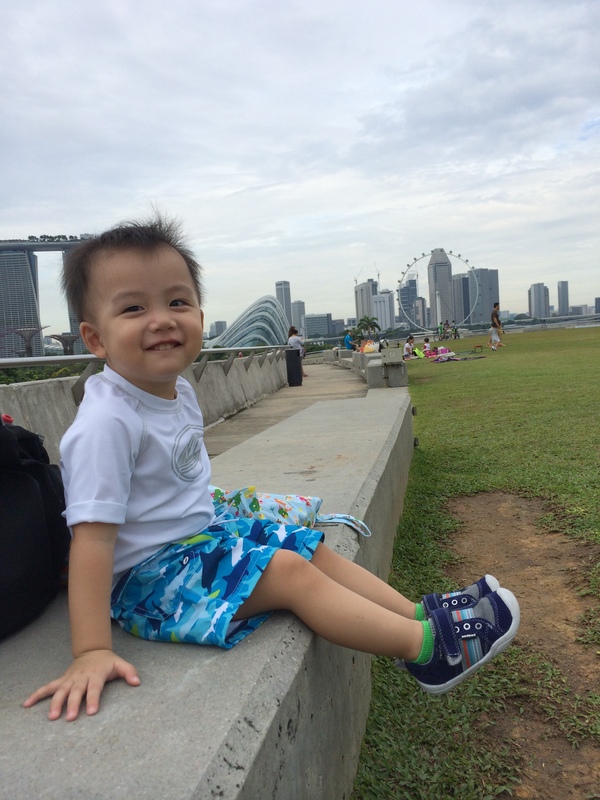 When Riley was there, initially he was overwhelmed by the large garden and many other children playing there. He chose to just sit at the side and watch. One boy of similar age even came to pass him a ball but he refused. Perfect weather to be at a garden! 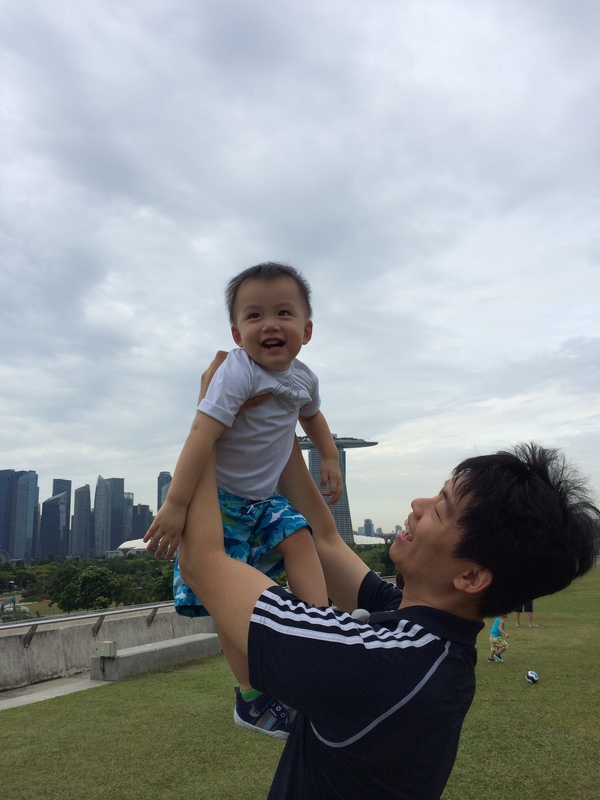 Later on, daddy carried him around to talk a walk and to look at the different scenery and people around and he started to warm up. And he started running around! Later on we went down to the ground floor for the water play. 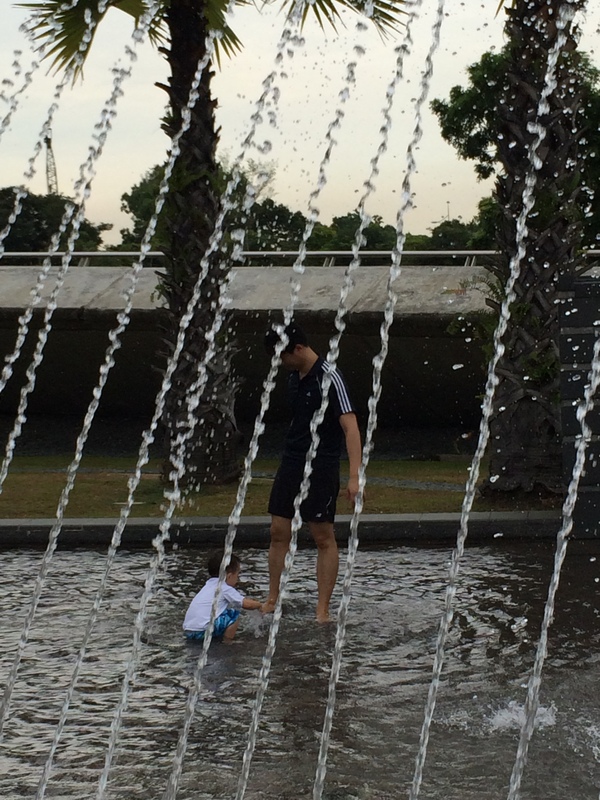 The fountains were so large it kinda scared the poor 19 month old, so daddy decided to carry him to bring him into the fountains. 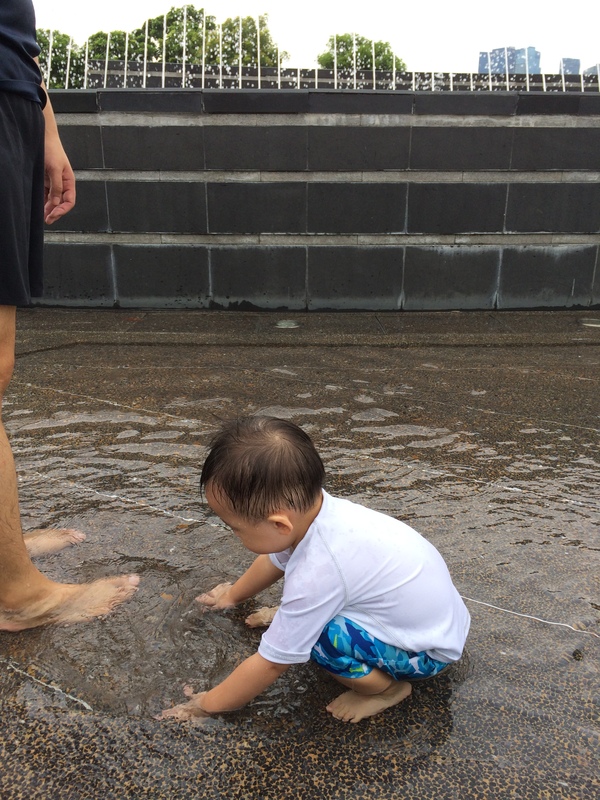 And after a tour, he decided he wanted to play with the water. And that was what he did. He basically just squat down and started splashing. 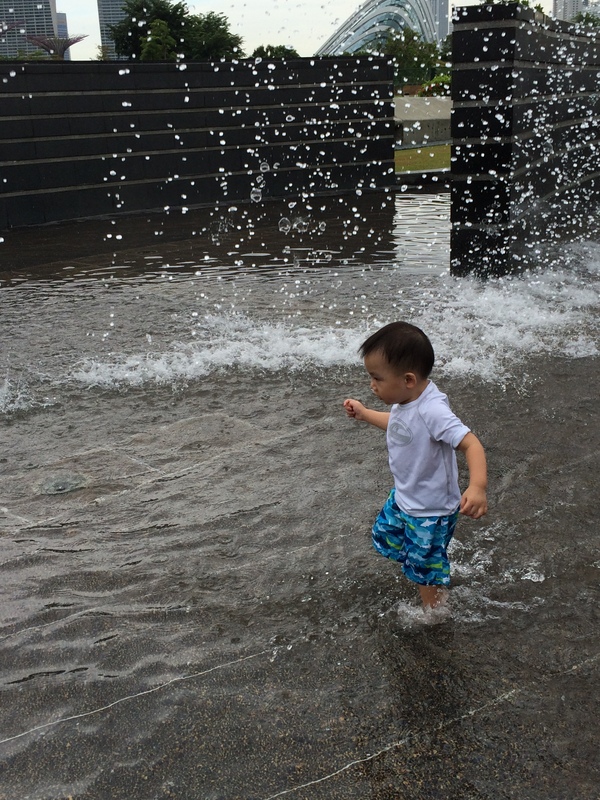 The fountain was too large for him but it sure did provide the atmosphere for water play. As the weather turned bad all of a sudden, we left to shower and change up at the nursing room. We would like to visit again, and be more prepared next time! Maybe we will bring a picnic basket, and a kite, and a ball, and some toys for playing in the water.